Transparency Boards, in the education sector of ARMM, are regarded as a simple tool to introduce transparency and foster participation and therefore social accountability at school level in a poor and challenging environment with complex governance challenges. More important than the physical transparency board are the information it provides and the dynamics of participation and accountability that impact to realistic and collaborative management of resources as parents, community members, teachers and school head become more aware of the school’s financial status, spending limitations, and the cost of contribution of its programs and activities. The Youth Formation Division under the Bureau of Learner Support Services at the Central Office shall lay down the foundations for the effective implementation of the organization and elections of the SSG through issaunce of policies and guidelines. DepEd-ARMM is on board with DepEd Central in the implementation of mandatory kindergarten and Grade 1 using the new K+12 curriculum. Grade 7 or 1st year high school will implement the new K+12 curriculum. 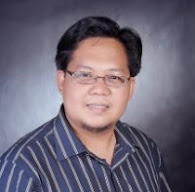 While the overwhelming number of ARMM high schools are using the regular curriculum, there are about fifteen (15) high schools implementing specialized curricula - science high, arts and trades, arts, sports, agriculture and fisheries. Letter of Instruction (LOI) Number 71-A, dated April 28, 1973, allows the use of Arabic as a medium of instruction in schools located in Muslim areas. The Ministry of Education issued Department Order Number 25, s. 1073, regulating the use of Arabic language. Letter of Instruction (LOI) Number 897 allows the teaching of Arabic Language in predominantly Muslim areas. Letter of instruction (LOI) 1221 calls for the gradual integration of madaris as a subsystem within the Philippine educational system. Republic Act 6734, or the ARMM Organic Act, puts in place an autonomous regional government to respond to the Muslim basic needs. Muslim Mindanao Act Number 14, known as the ARMM Education Act, declares it a policy of the ARMM government to establish and maintain a complete and integrated system of education relevant to the people's aspirations. Republic Act 9054, or the Expanded ARMM Act, reiterates the provisions of RA 6734 on education. Section 11 calls for an accreditation of private madaris (plural of madrash) operating within ARMM. 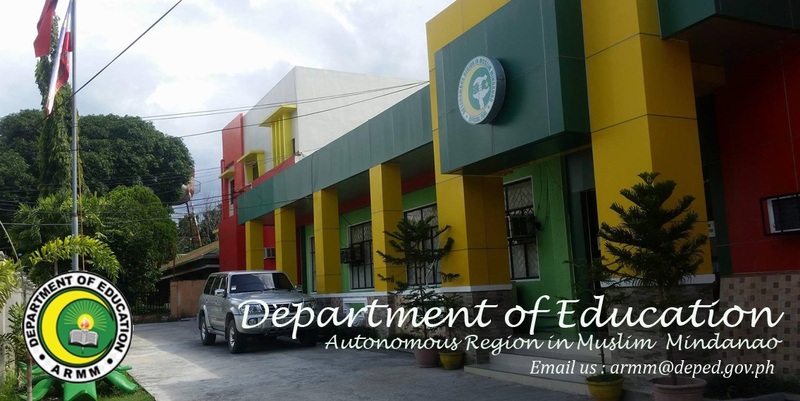 Periodic review and supervision the responsibility of DepEd-ARMM. Section 12 recognizes Arabic as medium of instruction in private madaris and calls on the ARMM Legislature to enact regional laws for strengthening and development of this particular educational system. Section 13 deems all existing madaris as part of the ARMM's educational subsystem. Section 14 calls for qualifying examination for madaris teachers; subsequently a standard of qualification and compensation. More than 400 classes are implementing Arabic Language and Islamic Values Education (ALIVE) Program. More than 50 Pilot Madaris are implementing a DepEd-prescribed curriculum that blends basic education with Islamic studies (Qur'an, Seerah, Hadith, Aqeedah, Fiqh) with Arabic language. Support to traditional Madaris comes largely in the form of graduate certification for overseas scholarship. Basic Literacy, Accreditation & Equivalency, Radio-based Instruction, etc. Supervises the conduct of school, district, division, provincial and regional meets. Leads the ARMM participation in the Palarong Pambansa. More than 400 public health nurses are deployed in 12 divisions. The ISHNP is an integral part of the total school program. Its philosophy is anchored on ideals that: (1) Health and nutrition education be consistent with the socio-economic, cultural and political philosophy of the people, reflecting their democratic way of life; (2) The Filipino learner is indivisible, his mind and body interrelated, and as such the education of the learner should be approach in a holistic manner; (3) The dignity and worth of the Filipino learner should be recognized and respected; (4) Individual differences should be taken into consideration; (5) The Filipino learner has freedom of will, but should be guided to choose and decide for one’s own health.